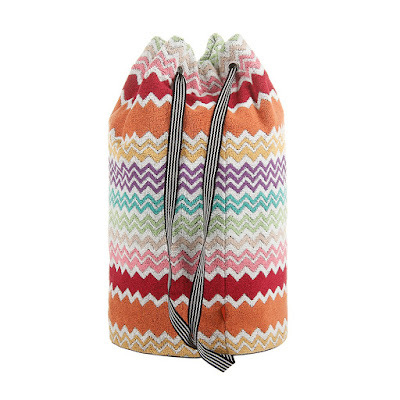 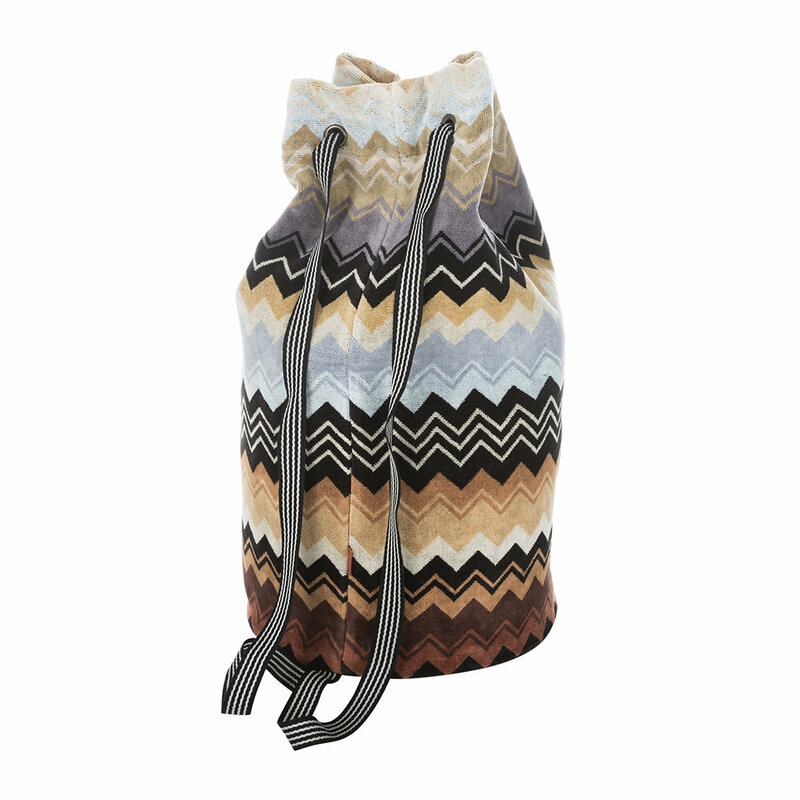 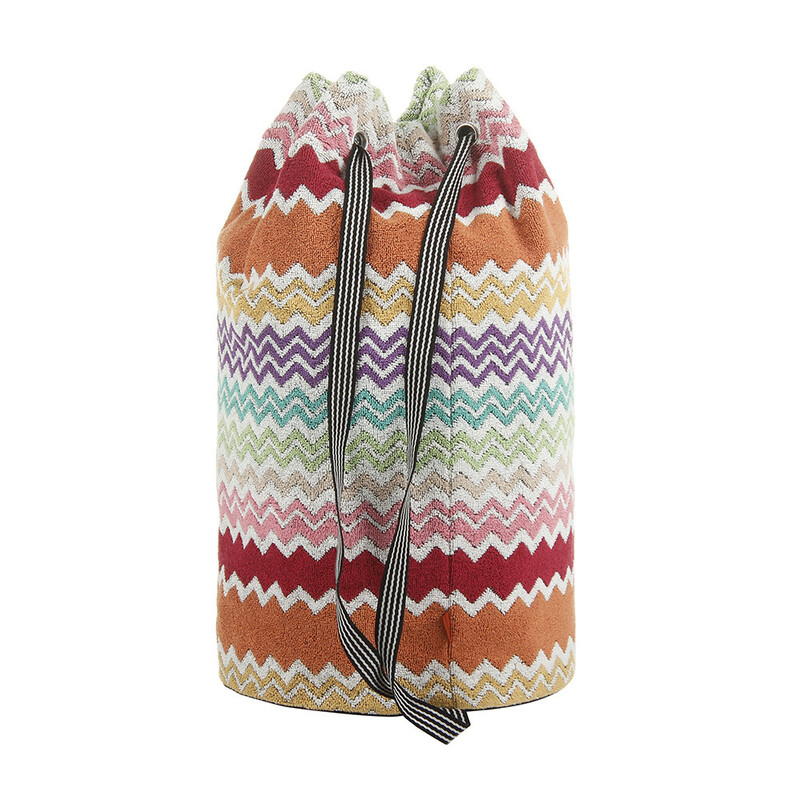 Hit the beach or pool in style with a Missoni towelling duffle style bag which is big enough to hold all your essentials including your towel and practical as it can be laundered if it's wet or covered in sand, in the distinctive Missoni prints and colour palettes it can add some luxe holiday chic to your beach look. 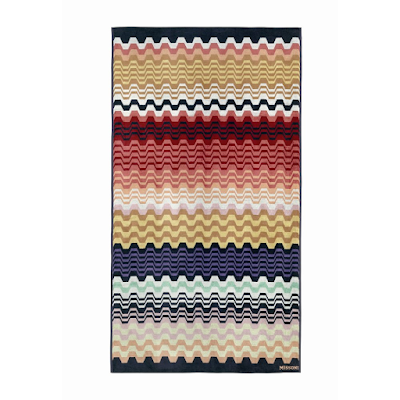 Introduce a tropical touch to travelling with this Tolomeo beach towel from Missoni Home. 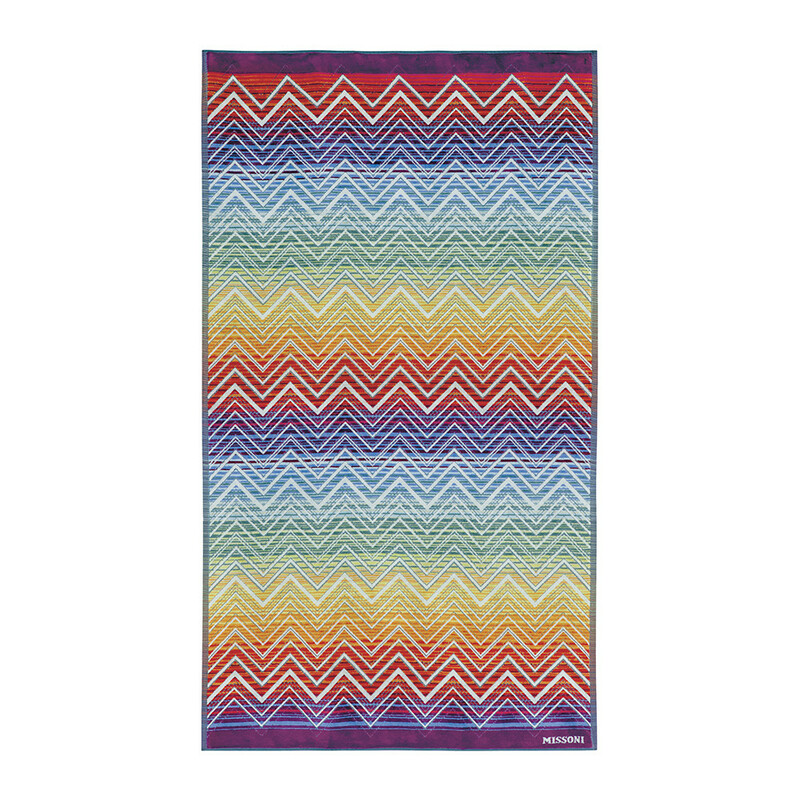 Made from 100% cotton, the vibrant beach towel features intersecting zigzag and striped lines in eye-catching tones. 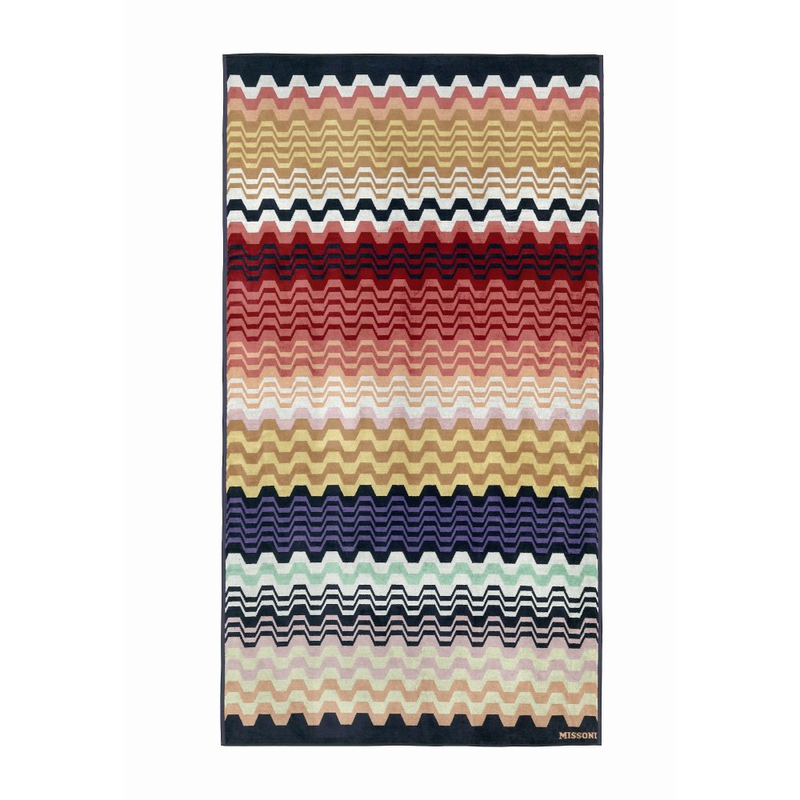 Boasting a luxuriously soft surface, this towel makes a great gift idea for any occasion, perfect for relaxing around the pool in style or to dry off after a dip in the sea. 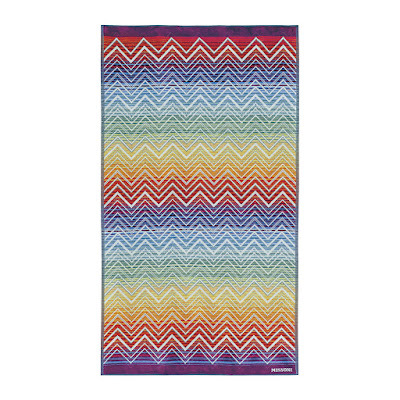 Stand out at the beach with this Lara Beach Towel by Missoni Home. Crafted from 100% cotton, it's luxuriously soft as well as stylish. Featuring the signature Missoni wave design in beige, red & blue, it's perfect for relaxing with at the beach.